Beware, US Citizens Using their Other Passport to Open Foreign Bank Accounts | TaxConnections is a where to find leading tax experts and tax resources worldwide. Any other item that may make the bank suspicious you are a US person. If any of the questions above you answered yes, there is a significant chance the your bank will disclose your account to the IRS. If you are detected by the IRS before you made an Offshore Voluntary Disclosure, you must expect the harshest penalties both criminal and civil. 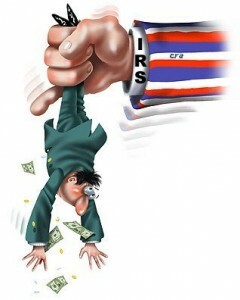 The IRS has invested everything in this program. It operates by fear and intimidation. It has the law, the political clout (in Congress, no one is standing up for international community). This form (TDF 90-22.1) for 2012 is due on 6/30/13 (must be received by IRS as of that date). It cannot be extended. The statute of limitations for prosecution or huge monetary penalty imposition for not filing this form goes back for 6 years. If you have other foreign financial assets, you may also be required to file Forms 5471, 8938, 8865 and many others. Failure to file these forms can result in substantial penalties and criminal prosecution. Bank accounts in the Central and South America, the Mideast and the Far Eas, Panama, Ecuador, Argentina, Venezuela, Taiwan, South Korean, Thailand, Dubai, Malaysia, Singapore, Hong Kong, China, India — these are the targets of FATCA. The US is signing up other countries daily to participate in the program. Remember, the US already had information sharing agreements with European banks. FATCA was put in place to find out US account holders everywhere in the world. We have represented or advised hundreds of US expatriates and green card holders entering the IRS Offshore Voluntary Disclosure Programs, Streamlined Disclosure Program, and silent disclosure. As both an attorney and CPA I can offer clients the absolute protection and confidentiality of Attorney/client privilege. Connect with me on my Tax Professional Profile Page. Don D. Nelson, Attorney, CPA has been practicing expatriate and international taxation for over 30 years. He is a partner in Kauffman Nelson LLP, a CPA firm that practices international and expatriate taxes. Their services include US expatriate and international tax return preparation, tax planning, international estate planning, surrender US Citizenship and Green Cards, and IRS Offshore Disclosure Representation and Consultation. Thankfully things are getting easier. Some banks in places like Singapore have begun to thaw. They are more open to starting accounts for foreigners, Americans included, now. Of course, the US government will continue to view anyone who doesn’t tow the typical line as a traitor. That’s just how it is. Your diversifying your assets makes you different. The government doesn’t like people who are different; they’d rather everyone line up in a neat little row so they can be easily indoctrinated, regulated, and taxed. But having an offshore account isn’t illegal – yet. As you say, make sure you’re filling out all the forms. The thresholds and dates are different in a way only a government bureaucracy could produce. Thank goodness it’s called the Land of the Free.